Yes, doctors and nurses carry business cards too! 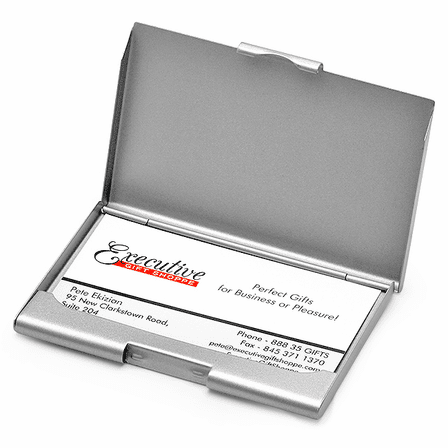 They do things like meet new people at parties, interview for jobs and talk with associates. So if you're looking for a gift for that tough to shop for medical professional that looks elegant but won't break your bank, you've found it! 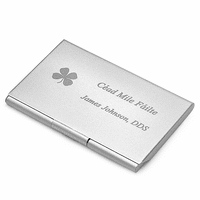 Our Medical theme stainless steel business card holder features the Caduceus symbol, which is the staff carried by Hermes in Greek mythology laser engraved on the left hand side. 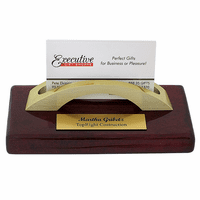 Add your own custom message laser engraved to the right of the medical symbol free of charge. 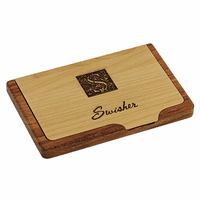 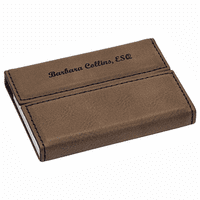 Packaged in a gift box and shipping the next business day, this card holder is a perfect last minute gift.